SeeSaw closes internet TV video-on-demand website | What Hi-Fi? Streaming internet television (IPTV) service SeeSaw has been shut down after initially being saved from closure by a group of investors in July. Criterion Capital Partners led an investment consortium, including former Channel 4 chief executive Michael Jackson, which took a majority stake in the business during the summer. At the time the deal was said to be worth around £10m. But experts say the business was squeezed out by bigger players in the online video market. SeeSaw was created from the ashes of the aborted catch-up TV platform known as Project Kangaroo in February 2010 by media services company Arqiva. 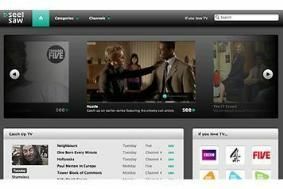 The website had been online less than two years, offering content from BBC Worldwide, Channel 4, Channel Five and several production companies.